The 2017 BridgeBuilder Top Ideas are promising solutions working to address urgent global challenges by building bridges between the areas of peace, prosperity and planet. Each idea receives a share of $1 million in funding, as well as post-Challenge support from the GHR team as they transform these collaborative concepts into tangible, real-world impact. Supporting small-scale gold mining cooperatives made up of war-affected people to produce more environmentally friendly and ethical gold. Saving lives and fighting climate change by rapidly regrowing the forests of vulnerable coastline communities in Myanmar using drones. Empowering families to break the cycle of poverty so that all children can have equal opportunity to thrive. Promoting efforts to prevent and counter violent extremism by developing the creative skills and capacities of youth violent offenders. 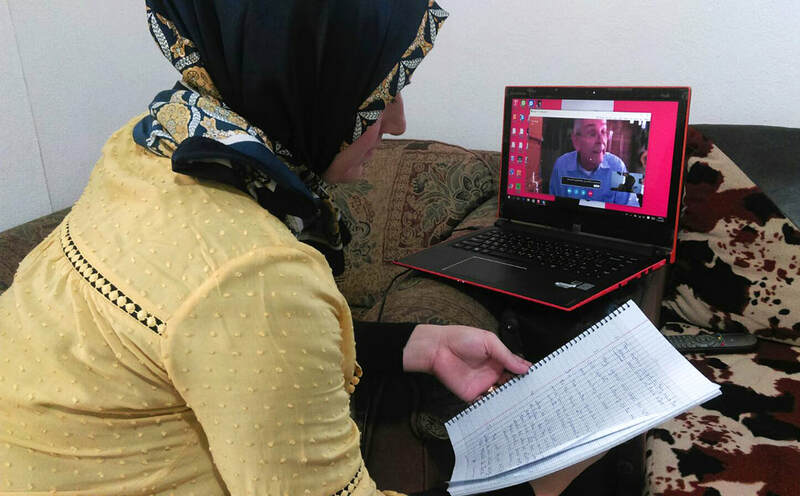 Connecting displaced persons and refugees with Arabic language learners around the world for online language practice.